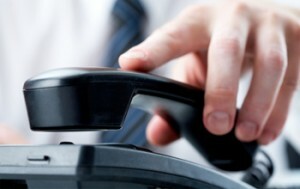 Some MU departments have found that they can enhance their customer service by offering a toll free number to callers. The Division of IT will work with departments to determine if toll free service is a good option for their particular situation. Toll free prefixes currently include 800, 866, 877, and 888. It is possible to have a "vanity" toll free number, like 1-800-CAT-PAWS, to identify a particular service. The Division of IT can work with departments to determine if a particular vanity number is available for their service. There is no set-up or installation fee for toll free service. However, there can be charges if a new local phone number must be installed. Departments will pay a usage rate of five cents per minute for all calls to the toll free number. The toll free number must be associated with a local telephone number. If no existing line is suitable, new local service must be installed in addition to the toll free service. Go to doitservices.missouri.edu to request and change or cancel existing Toll Free Service. Login to the self-service portal with your University user id and password, select Service Catalog, and search for Toll Free Service.